Last week, Senator Elizabeth Warren and other members of US Congress on both sides reintroduced a bill to make hearing aids available over the counter. If passed, the Over-the-Counter Hearing Aid Act of 2017 would help deregulate an outdated industry and bring about a set of standards for OTC hearing aids that could be sold to people with "mild to moderate" impairment. 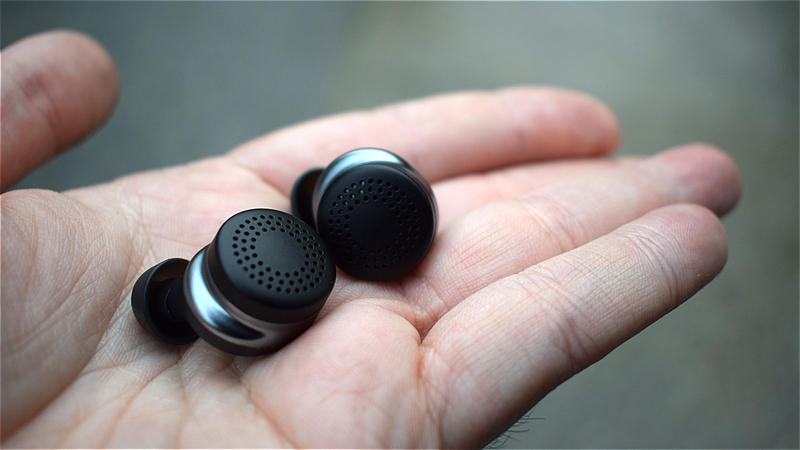 Doppler Labs, creator of the sound-augmenting Here One smart earbuds, is giving the bill its full support. The company has announced it is bringing aboard Silicon Valley entrepreneur Jim Pitkow as its chief scientist, who, along with other Doppler folks, has already met with members of Congress to discuss the bill. Doppler's director of accessibility and advocacy, KR Liu, meanwhile has been working closely with Warren to build support. Hearables are hard to get right, but they have the potential to transform our lives in incredibly ways. Doppler made a compelling device in the Here One earbuds, but because of current regulations it can't market its product to people who fall into the "mild to moderate" bracket of hearing impairment. In a conversation with Wareable, Pitkow lamented the outdated hearing aid industry. Yes, Doppler would have a huge opportunity to widen its market if the bill is passed, but the larger impact would be immense. Around 20% of Americans report some level of hearing loss, yet most private health insurance companies in the US don't cover hearing aids, and with an average $2400 out-of-pocket cost per device they're prohibitively expensive. Over-the-counter aids could be a lot cheaper. "Similar to how reading glasses have switched from being controlled by prescription to anyone being able to go into a pharmacy and figure out what number they need, we think there is a similar need here," said Pitkow. "Because this is a tremendously underserviced market". Pitkow says he prides himself on a history of honing in on fields that turned out to be instrumental, which includes pioneering some of the first uses of the web for NASA when it was introduced in 1993. As part of his work with Doppler Labs, he'll be working with a special team pulled together to specifically focus on this problem of accessibility. "You've got to have folks who understand hardware, you have to have folks who understand software, machine learning, as well as folks that understand the community we're trying to provide an affordable destigmatizing solution for," he said. "People think this is something really age-dependent - that's just not so," Pitkow added. "People go to music events as well as have exposure to [loud] sound, and people are showing signs of mild hearing loss earlier. That's why the WHO says that up to 1 billion people are going to be affected by this issue." The fact the new hearing aid bill is bipartisan means it has a very good chance of being passed, but the Food and Drug Administration (FDA) will then need to work through specifics of how the new system will work, like setting minimal performance thresholds for these over-the-counter devices. "The FDA, in terms of the draft legislation that's been introduced, would have a period of time, up to three years, to define what an amplification device is," said Pitkow, "and potentially define what minimum performance standards, and add other elements in terms of: does marketing material need to be reviewed by the FDA in order for it to be marketed to a particular community?" Doppler doesn't claim the Here One is a medical device, but Pitkow knows it has the potential to help many people who do suffer from hearing impairment. "If you're in a restaurant and are struggling to hear people in front of you, we can probably help you out a lot, right?" If this Over-the-Counter Hearing Aid bill is passed, millions of Americans could have access to affordable hearing aids, and hearables will have the opportunity to do a lot more for our ears.